Join us in Music City to make your next event an unforgettable experience! From incredible live music to eclectic southern cuisine, Nashville has something to offer everyone and our building is in the center of it all. The Music City Center is the perfect venue for any size event, from a small, private dinner to a large-scale convention. We have the space and flexibility to provide you with many unique options for your event. In our Planners Section, you will find helpful information about our event space, staff, and catering options. Our dedicated and experienced staff are ready to assist you in every way possible. Join us in Music City to make your next event an unforgettable experience! From incredible live music to eclectic southern cuisine, Nashville has something to offer everyone and our building is in the center of it all. Located in the heart of downtown, the Music City Center is just steps away from wonderful hotels, gourmet restaurants, and of course, incredible live music. Come see us in Music City - you will be amazed with how easy and entertaining your next convention experience will be. Our spectacular new building was designed with you in mind. 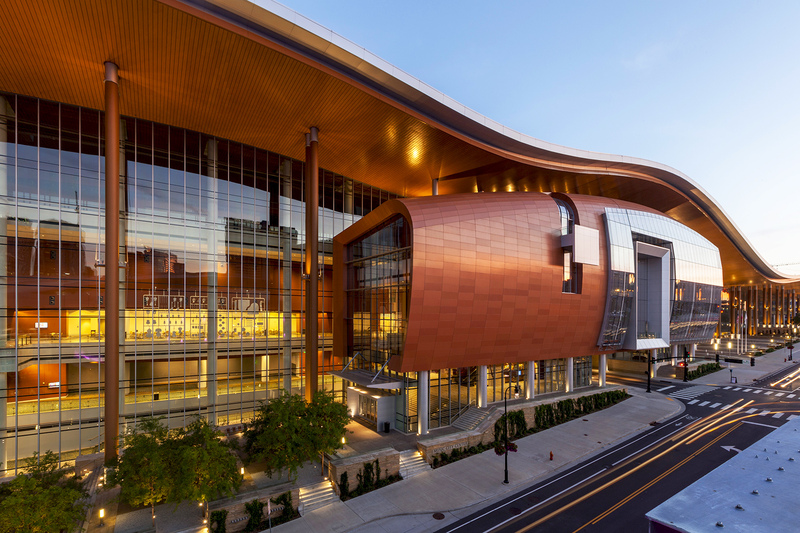 Whether you're planning a major national convention or an executive board meeting, the Music City Center's expansive facilities will exceed your expectations. With 1.2 million square feet of meeting and exhibition space, the Music City Center has the flexibility to accommodate all of your needs. In our Planners Section, you will find helpful information about our event space, staff, and catering options. Our dedicated and experienced staff are ready to assist you in every way possible. The Music City Center is the perfect venue for any size event, from a small, private dinner to a large-scale convention. We have the space and flexibility to provide you with many unique options for your event. Whether you need an executive board room or a spacious ballroom, the Music City Center can fit your needs. Your guests can also enjoy beautiful views of downtown Nashville from our numerous outdoor terraces. Check out our photo gallery and floor plans to see which space will work best for you. 60 meeting rooms that occupy 90,000 sq. ft.